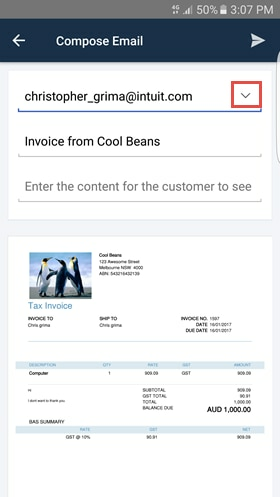 With the new Android 5.1 update you can now Accept online card and bank transfer payments on invoices with PayPal (if you have PayPal connect) and add CC and BCC options when you email your invoices. For customers who have enabled the Accept Payments with PayPal integration you now turn on Accept Payment Online and allow your customers to pay you via PayPal, debit or credit cards. 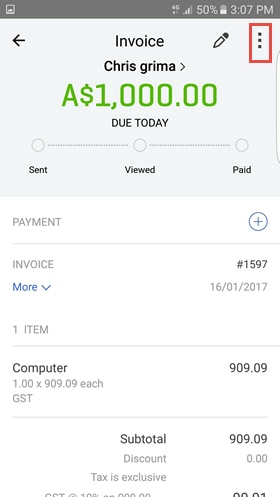 Your Invoice Tracker will now be automatically updated, also if you’ve allowed push notifications on your device you’ll also receive a notification when you receive a payment from your customer. 1. 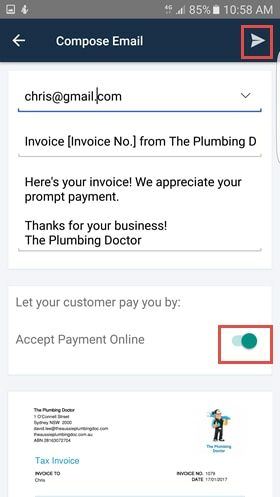 Tap the icon to email your invoice. 2. Tap the button to turn on Accept Payment Online. Then tap the icon to send the email. 3. 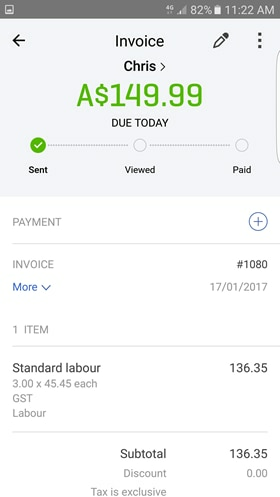 The Invoice Tracker will now update to Sent. 4. 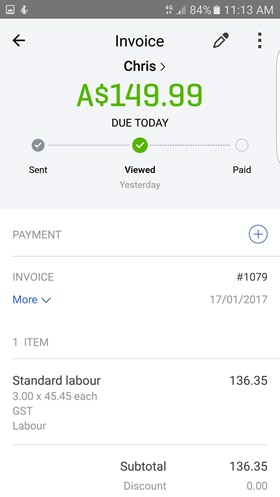 The Invoice Tracker will update to Viewed once your customer opens your email. 5. When your customer makes a partial or full payment the Tracker will be automatically updated to either Partially Paid or Paid. Additionally, if you allow Push notifications on your device you’ll receive a notice when a payment has been received. 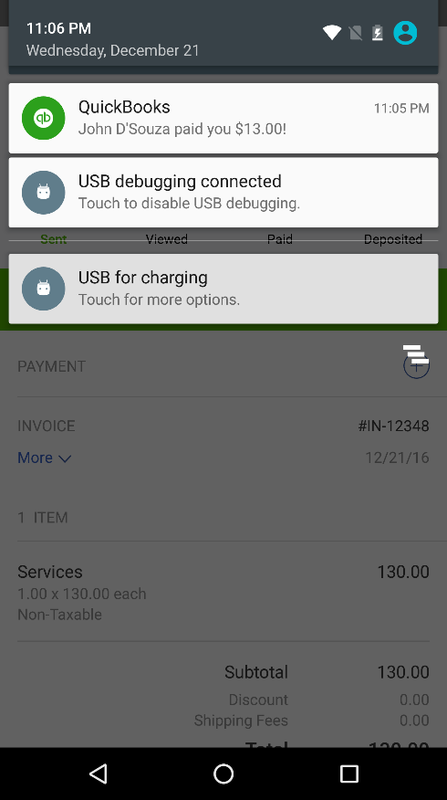 Not currently using Accept Payments with PayPal? 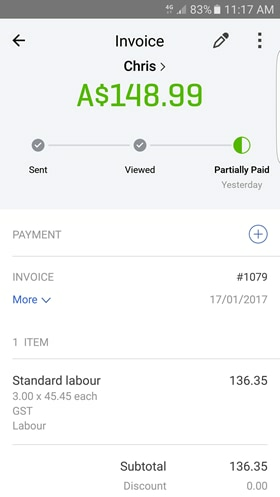 Check out the following blog to find out how you can Get paid quicker with PayPal. 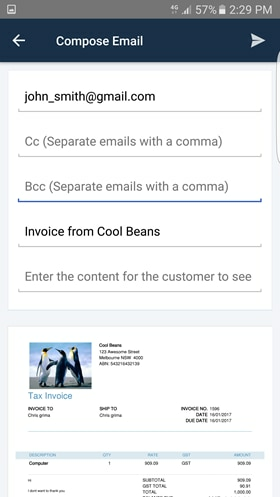 You can now add CC/BCC recipients when sending invoices, its simple, just follow the steps below. 1. 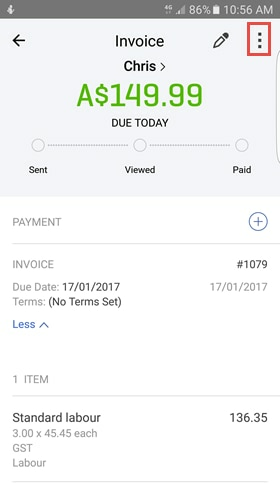 While on an invoice tap the icon. 3. 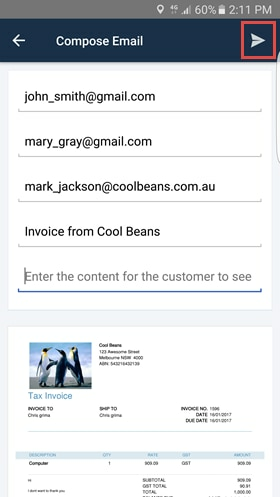 Type in the email addresses of the recipients you wish to add to the invoice. Get the latest update on the Google Play store.